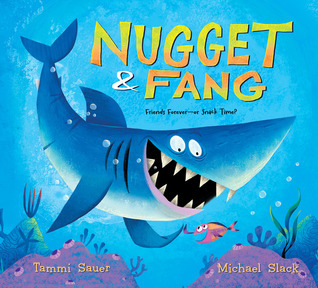 Fang the shark and Nugget the minnow were best friends until Nugget went to school. That’s where he learned that sharks and minnows can’t be friends. Nugget showed Fang his science Food Chain test. Fang felt awful. He couldn’t help being toothy and he had to prove he wasn’t scary. He tried dressing up like a mermaid, that didn’t work. He tried inviting Nugget to dinner, that didn’t work either. He tried and tried until he was all out of ideas. Then one day the school of minnows got caught in a net, Fang used his scary sharp teeth to cut the net and free the minnows. The minnows finally accepted Fang, sharp scary teeth and all. Tammi Sauer takes a funny look at an unlikely friendship. The friendship is contradictory to the laws of nature and the timing impeccable. Her use of language will delight readers young and old. Michael Slack’s simple and bright illustrations bring life to the pages. The expressions on the faces of the shark and the minnows are priceless. Coming up with ideas is easy no sweat a piece of cake…. oh never mind, I’ll just change my profile picture to a giraffe instead! Hey wait, giraffe… a green giraffe who doesn’t have any friends, oh was that already taken? OK, I can do this… just let it flow freely… water flows freely. Coffee! Maybe I’ll just stop for a minute and make myself a cup. Anybody else? I’m already up, let me get you something. Now, focus… I feel a little like Pooh tapping his head, “Think, Think, Think” Hmmm…nothing. Check your facebook page, check your PiBoIdMo post… great idea! Tammi Sauer suggested coming up with just the titles today and work on the story behind the titles later. Now I’ve got a goal. Yeah, not even one. Let’s try again. Did you know that I just exhaled exactly nine times in one minute? Is that too much? Is that not enough? Akkkk… I don’t know the appropriate number of times a normal person exhales in one minute! Quick, someone google that for me, I might be dying! Now, google, that’s a funny word. 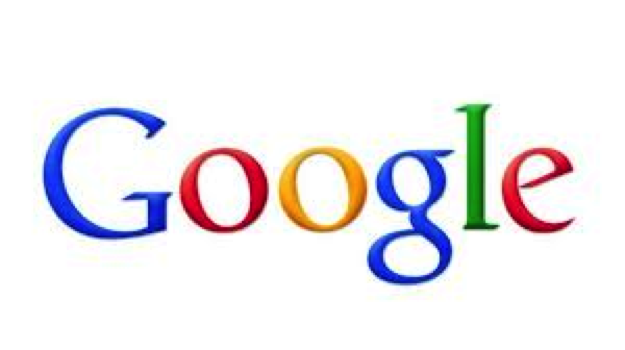 I bet if I spend the rest of the day on google I could come up with some TOTALLY AWESOME picture book ideas and titles today….